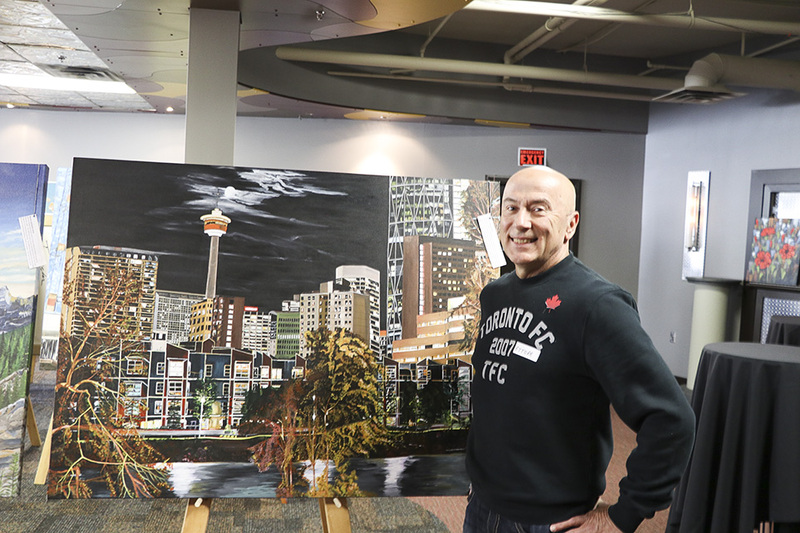 To look at Ettore Iannacito’s paintings is to be transported to the Canadian west. 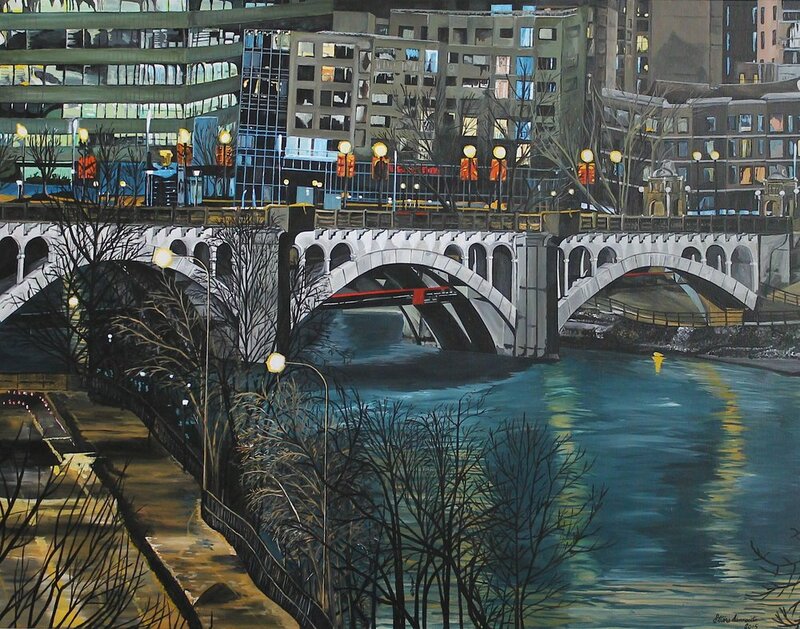 Whether it’s a long-abandoned 1940s pickup bleaching slowly in the prairie sun, a snowy owl in tapered flight against dusky mountains, or a glittering urban skyline under the midnight sky, Ettore’s works can’t help but evoke a strong sense of (Canadian) place. When did you first fall in love with art? I have loved art my entire life. From the first day I realized I could draw something that resembled the subject matter, art captured my imagination. I fell in love seriously in high school when we studied renaissance painters like Leonardo and Van Gogh from later in the 19th century. Tell us about your art? As a self-taught artist, I don’t follow too many rules. I like painting with acrylics, and my primary style is realism with a touch of impressionism. My subject matter leans toward landscapes, wildlife, and heritage ideas in both natural and urban settings. 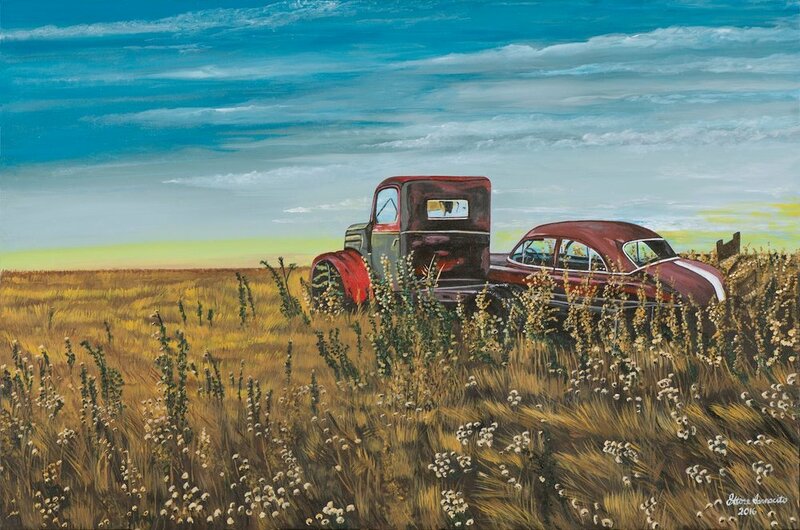 Rusted out old cars in the prairies have so much meaning; they remind us of the past and that life has a time span for everything. I particularly enjoy capturing landscapes at night because the shapes aren’t as clearly defined, so you can paint what you personally see. Sunrises and dusk compositions allow you to paint with vibrant colours and if you look at my paintings, you’ll note the colours are very vibrant. What prompted you to start painting? I was inspired to start painting four years ago when my daughter - also an artist -graduated from the Ontario College of Art University. After seeing my initial paintings, friends encouraged me to continue. When I showed one of my paintings to a former art gallery owner, he suggested I quit my day job to paint full time! His objective opinion meant a lot to me. Once I started selling my paintings, I was hooked. It is a great feeling knowing that your work is hanging in someone’s home. Being an artist has made me a better person by helping me see beauty and potential in things I never noticed previously. When I look at a photograph now, I see it differently and think to myself, this can be a good subject matter for a painting. I love doing commissioned pieces; seeing the buyer’s reaction to the final painting when completed is inspiring and motivating. Eventually I would love to open up my own gallery featuring my art and my daughter’s. It would be so intimate. As my painting career evolves I plan to explore abstract art as a new challenge. I will continue to paint and now it’s a part of who I am not only as an artist but as a man. Music! I am an avid rock fan and love the Rolling Stones, Led Zeppelin, Fleetwood Mac, Pink Floyd and AC DC. Of course, living an hour from Banff in one of the most beautiful regions of Alberta probably has something to do with it. Receive a 20% discount off Ettore’s works until July 31, 2018 at mercartto.com.